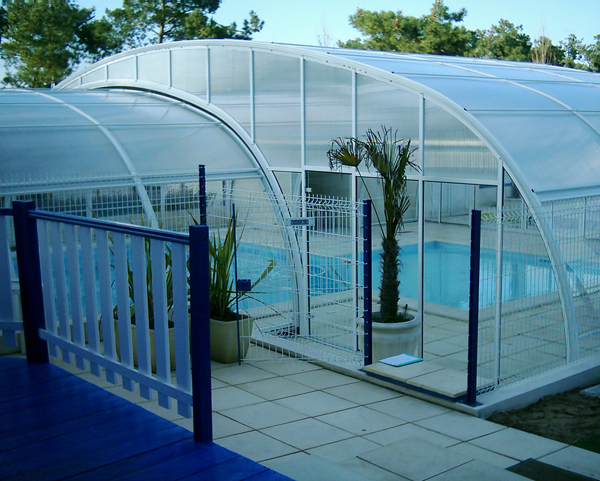 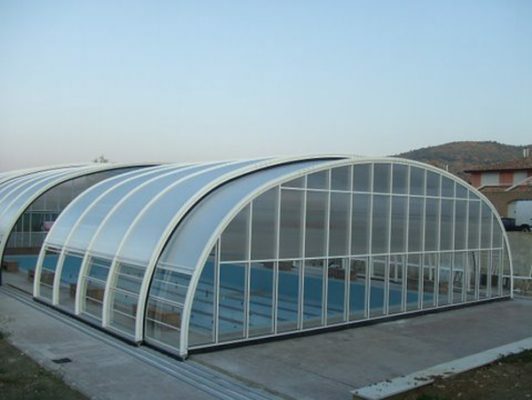 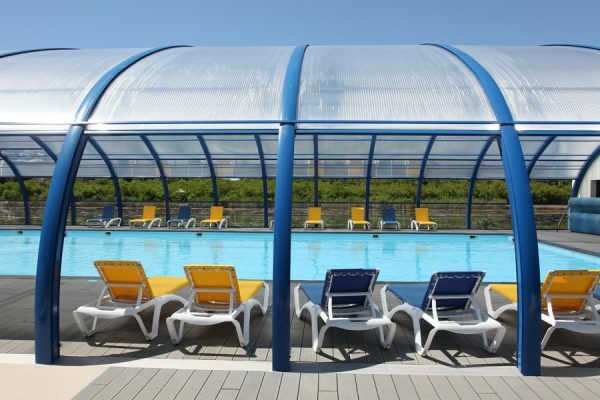 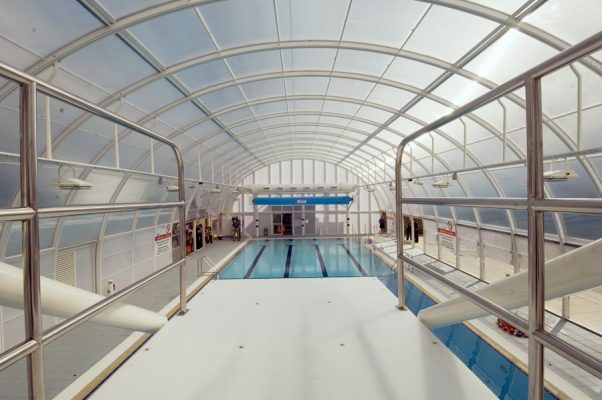 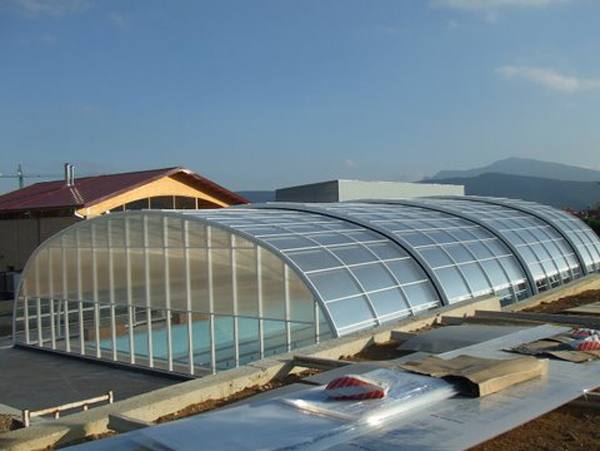 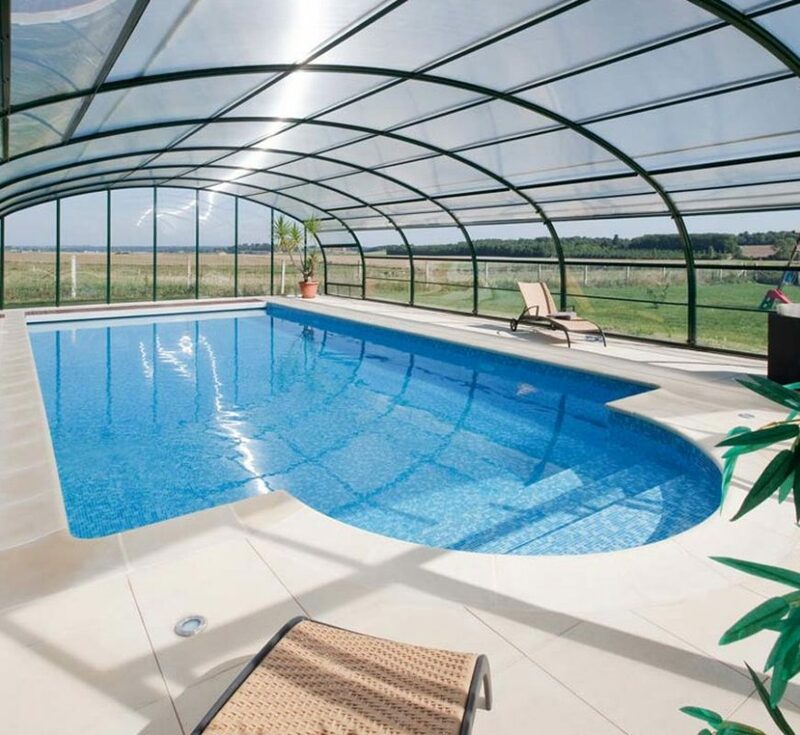 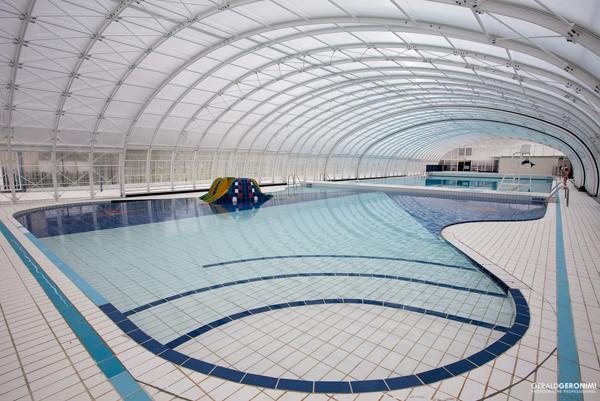 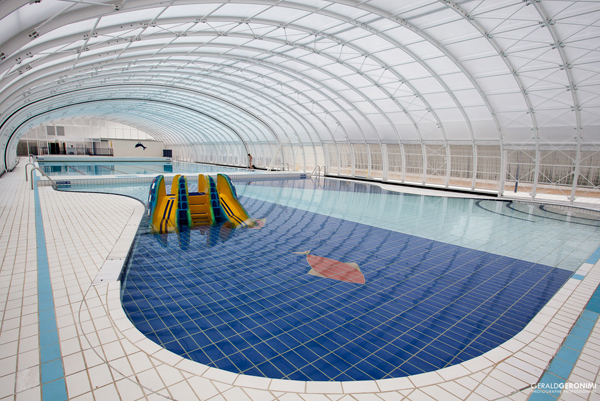 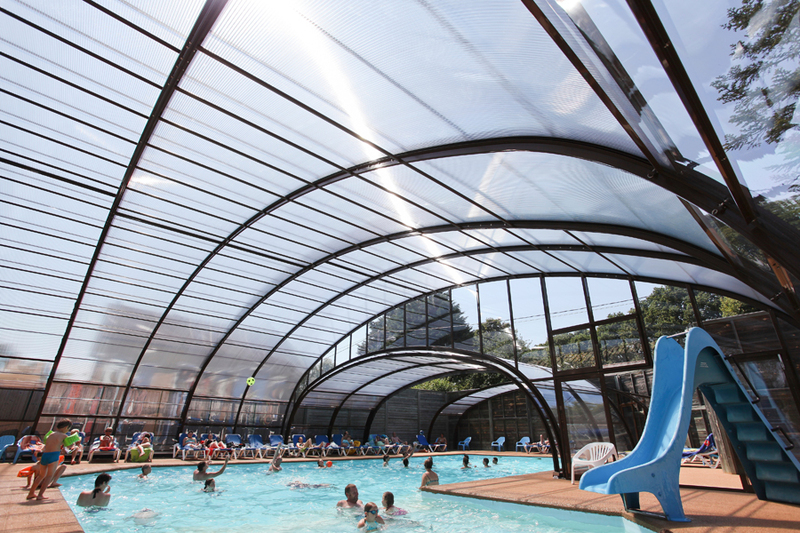 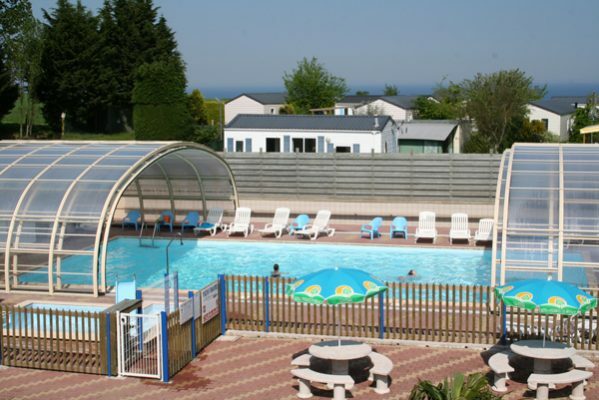 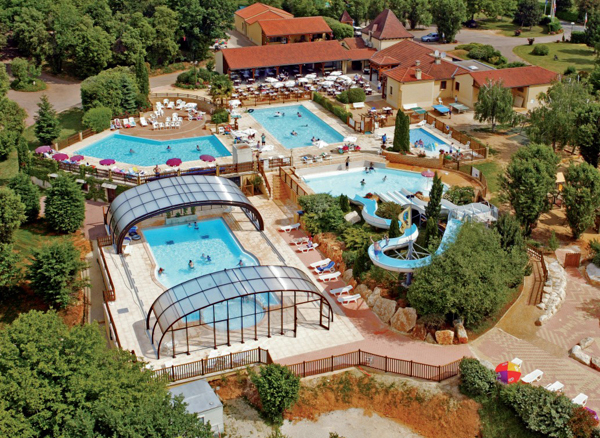 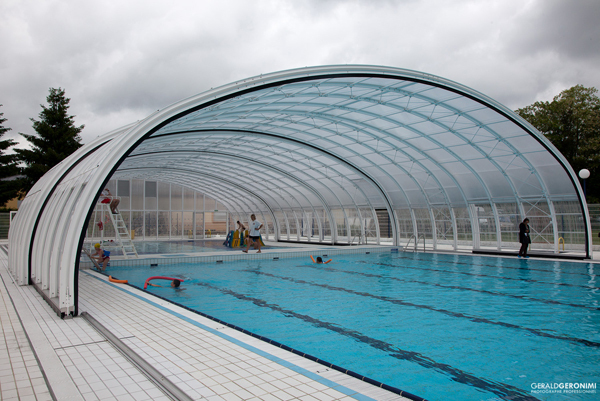 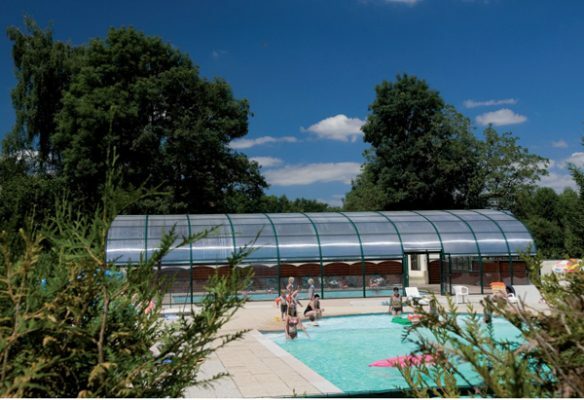 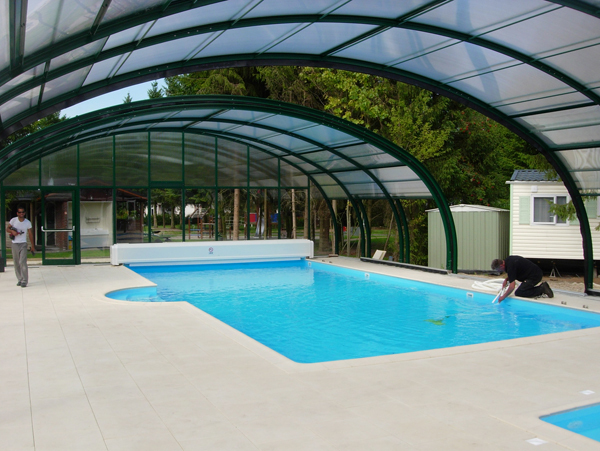 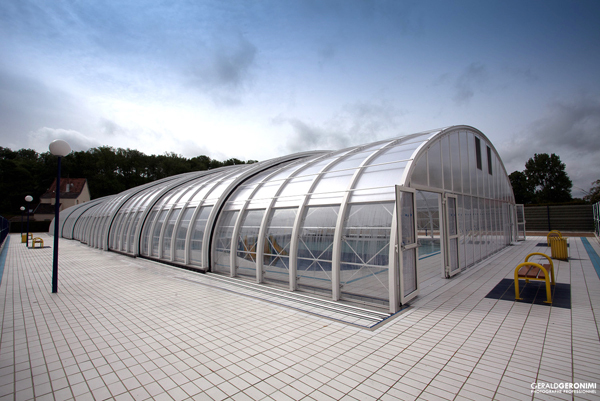 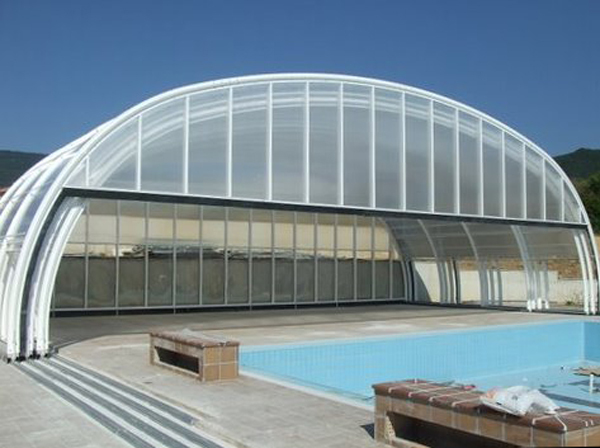 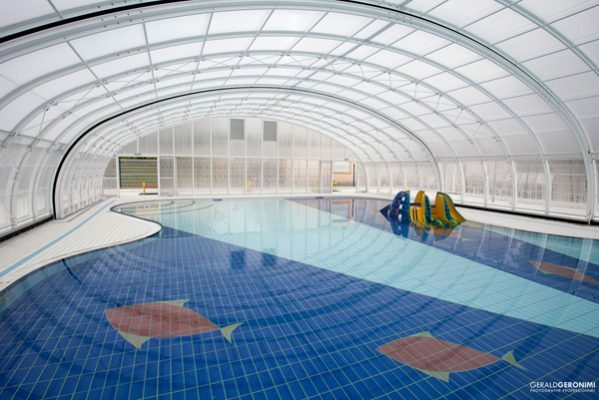 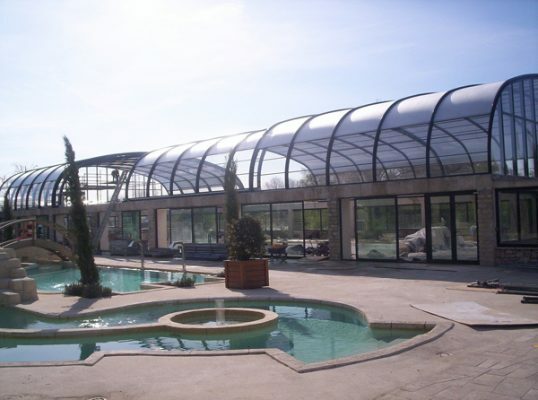 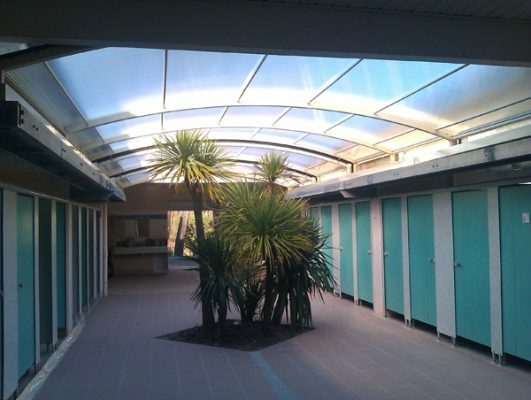 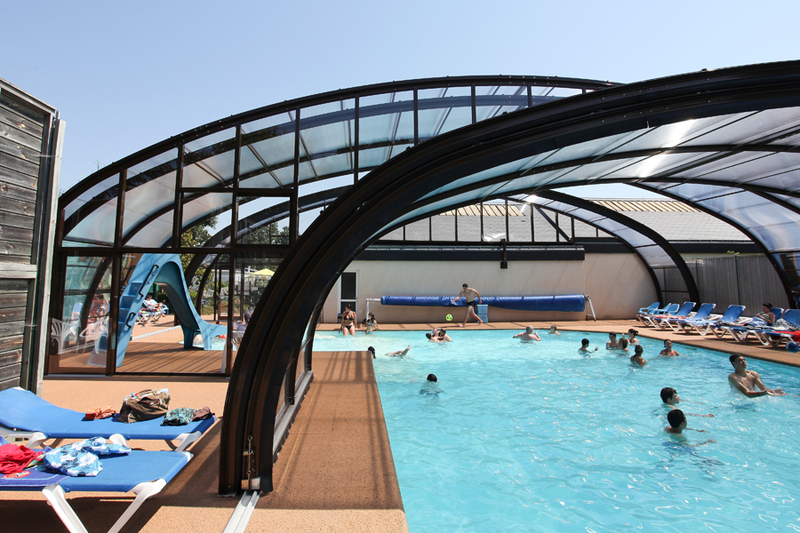 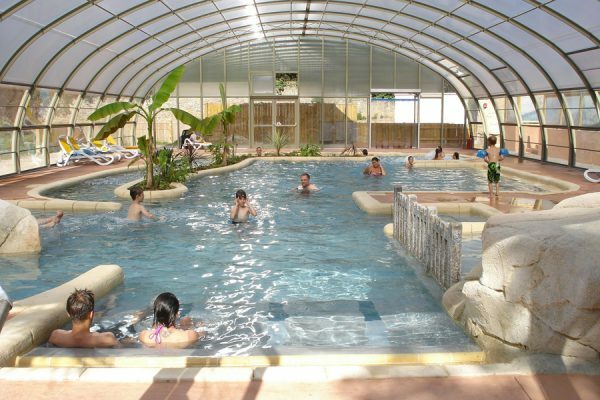 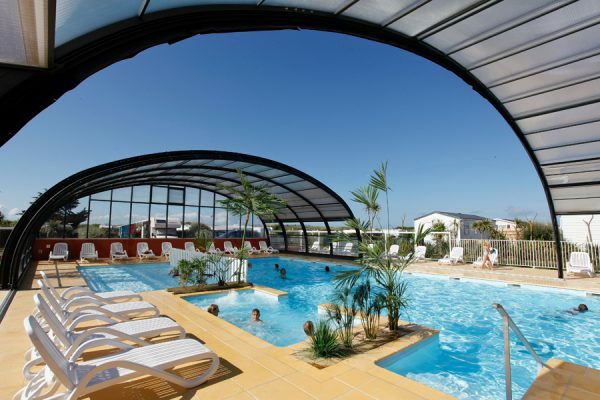 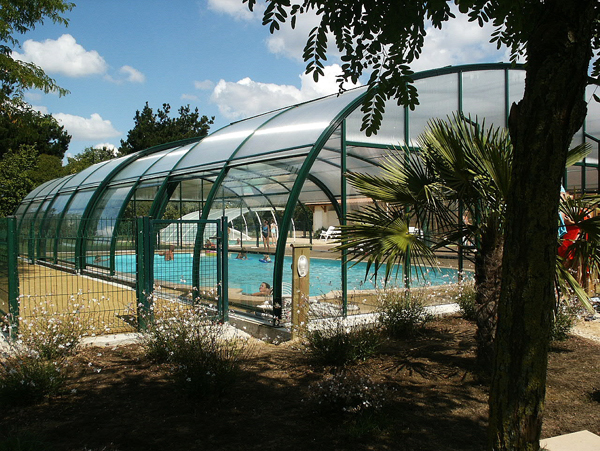 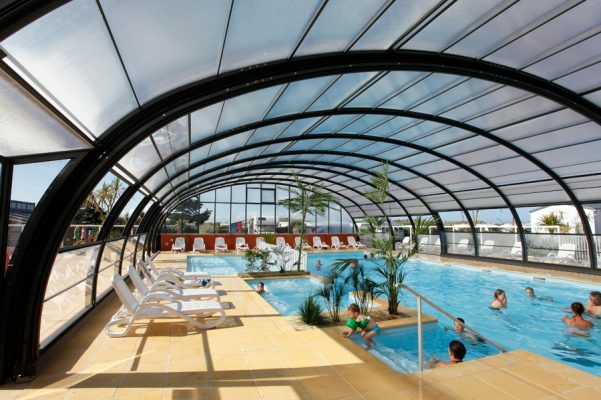 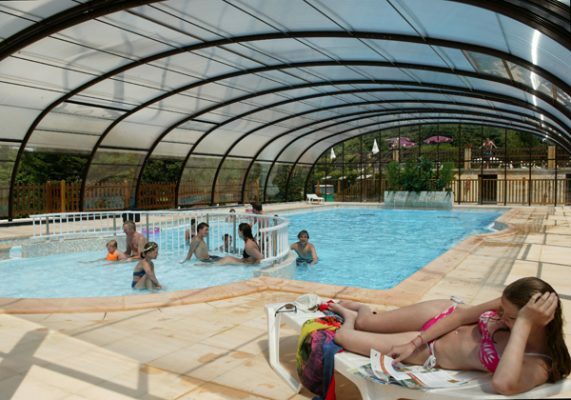 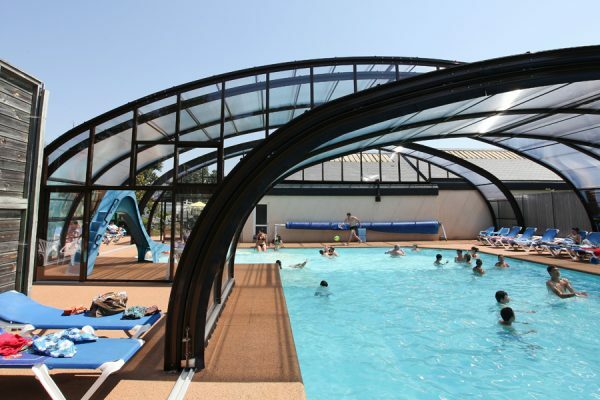 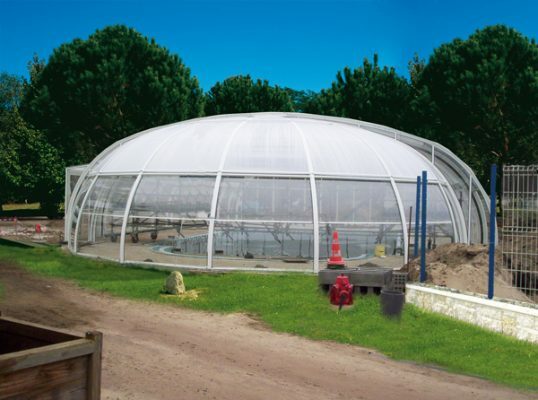 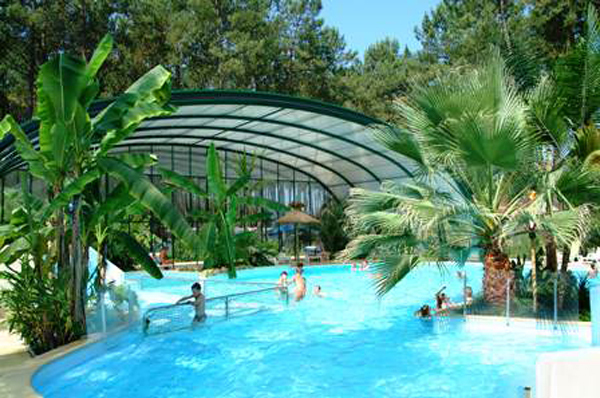 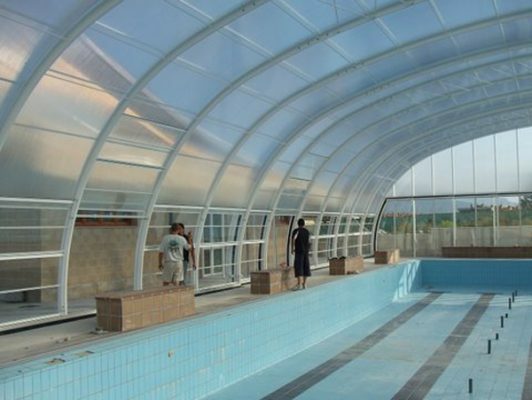 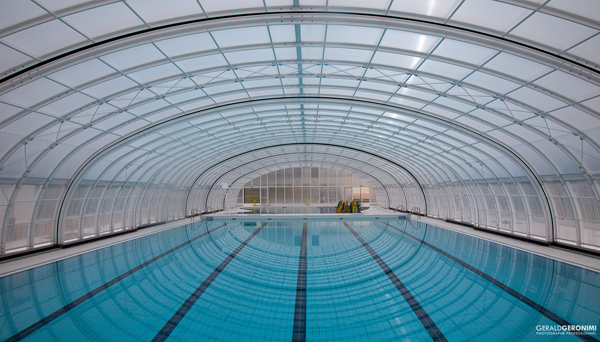 Commercial swimming pool enclosure buildings are used as a swimming pool room, or elegant restaurant, badminton court, exercise room or gymnasium, health club, meeting room, classroom or conservatory – any time of year by Schools, Hotels, Health clubs and Camping sites. 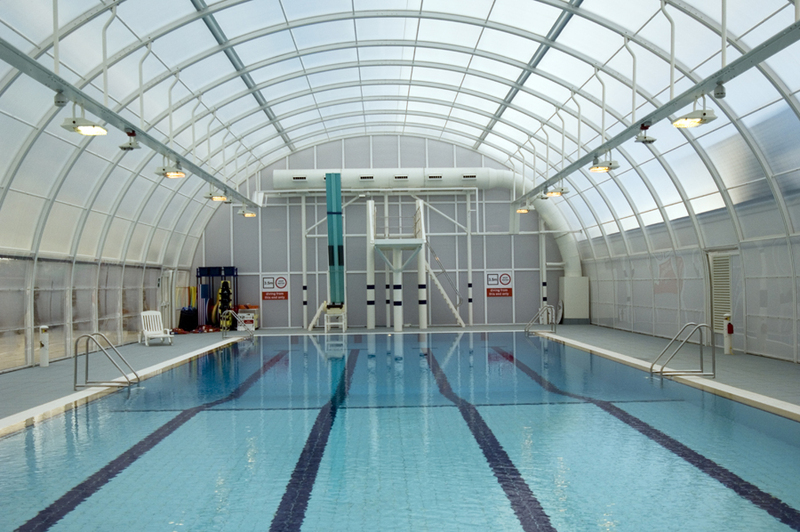 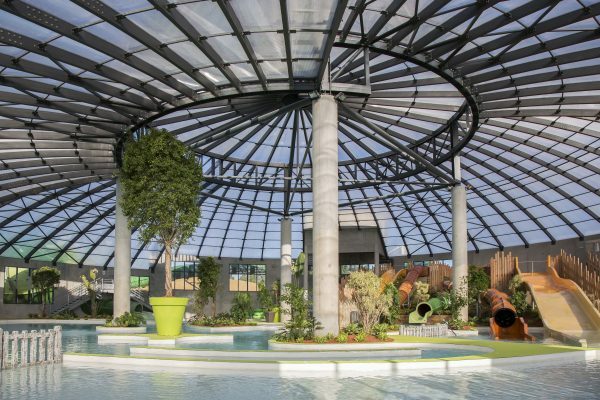 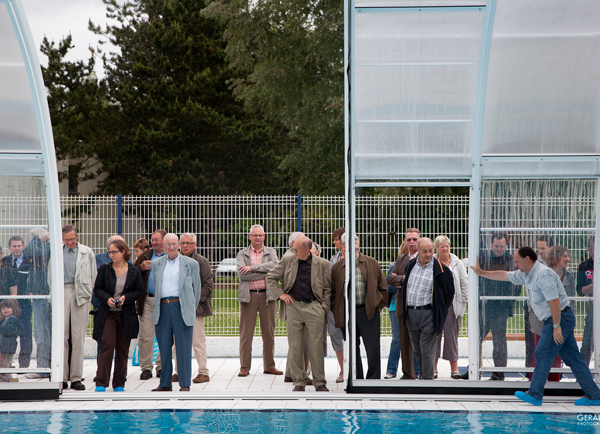 The commercial pool enclosure system offers infinite opportunities bringing an outdoor environment indoors. Clearspan widths from 5m to 25m (16ft to 82ft) with unlimited length. The commercial swimming pool enclosures offer new opportunities and increased profitability to commercial ventures by extending the season, increasing throughput and reducing costs. A well-proven example of this is the revenue benefits accruing to restaurants by being able to enclose their patios in inclement weather, because all the side panels, which are usually 2m wide and 2m high, slide open into the roof, access to garden or pavement is immediate and unobstructed. 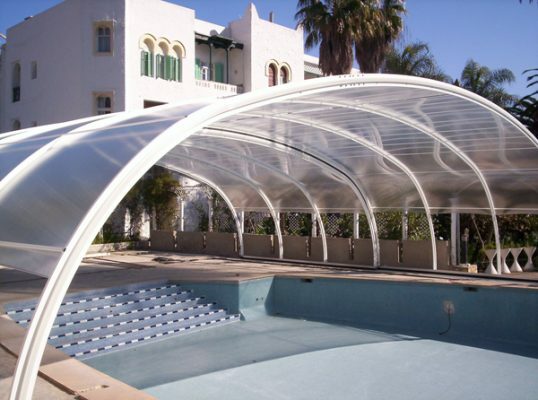 Our patented designs are recognized as amongst the most innovative and technically up to date in the world. Each building has a 10 year guarantee.